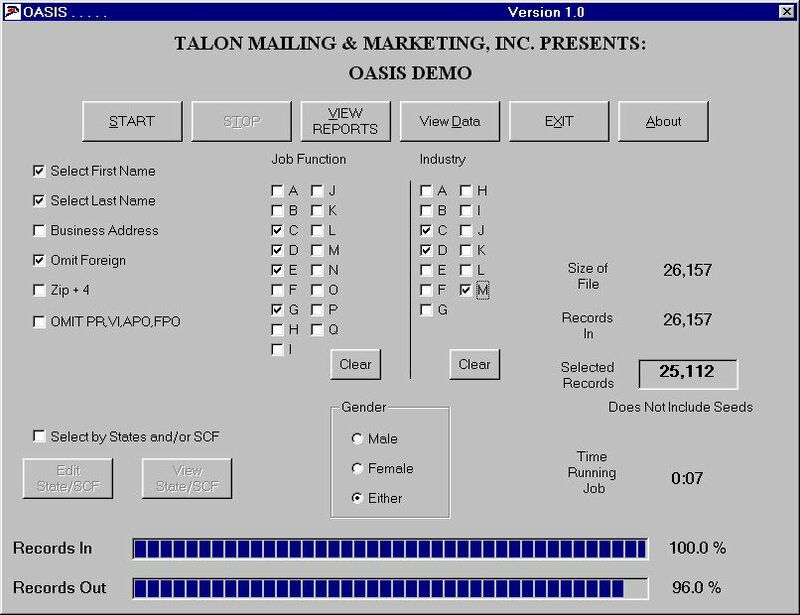 Welcome to the Talon Mailing & Marketing June 2014 Newsletter. Shorter may be better for tweets and emails, but in direct mail, “the more you tell, the more you sell”. While shorter may be better for tweets and email subject lines, in direct mail, “the more you tell, the more you sell” is still the mantra for many marketers, says Craig Simpson, owner of Simpson Direct. People who really want to buy and are your best prospects will take time to read a longer mailing piece, he notes. The fact that direct mail volume is down can work in mailers’ favor, because there is less completion in the mailbox. There are more targeted lists available, and mailers are spending more on their packages, leading to rising response rates in many cases. If you think your small business is at a disadvantage in reaching a targeting audience compared to corporations with big advertising budgets, you're wrong. During her National Small Business Week keynote address at the Microsoft Center in Boston on Thursday, Gail Goodman, CEO of marketing firm Constant Contact, said that large companies only wish they had the marketing advantages of a small business. Instead of spending thousands of dollars to find out who their customers are and whether or not they are engaged in meaningful experiences while they are shopping at a big box store, she said, small business owners just have to open up their shop and talk to the customers who come in regularly. "You are naturally, unbelievably close to your customers," Goodman said. "You don't need focus groups and national research, you talk to them every day. 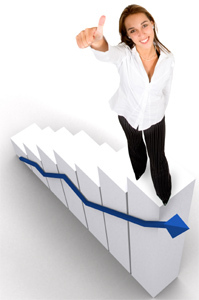 That is easy to translate into revenue growth and more business." Below, find out the specific advantages Goodman says small businesses have, and how to use them to increase customers and sales. Goodman said small business owners' first advantage is possessing "the ability to create a meaningful experience, a wow experience. Think about rising above the ordinary in small ways that delight your customer." She added: "The sad truth is that the customer experience bar is low and small businesses can easily rise above that without it being expensive. It just needs to be real. It's all about bringing a smile to the face of your customer." Big businesses have to work hard to relate to customers on a local level. But as a small businessperson, you may know your neighbors, customers, and other community members by name. "The second advantage is that you're connected with the community, with the person who owns the store next to you, and to your chamber of commerce. You can work together to build your business, learn, and grow," Goodman said. Your repeat customers become your friends and you can build relationships easily. Your store can become a staple in the community and repeat business will become easy to get. This intimacy with your customers and community means you will become familiar with your market quickly and easily. "The third advantage is that you have a real ability to know your market. Your market is in front of you every day--you don't need research," Goodman said. "You have a new idea, just ask the next three customers who come through the door and see what they think. Talk to people, test, but testing can be done in such a natural and easy way." Unlike a big company, you can watch customers' reactions when they enter your place of business. "The final advantage you have is that you can see your entire customer experience. You don't need a secret shopper--or undercover CEO--to understand what's happening today in your business, what's delighting your customers, where are the challenges, where the opportunities are to create that great experience. And it's these real relationships that make easier marketing." Now that you are aware of your business' advantages, it's easy to implement a cheap, effective marketing strategy. You need to ask your customers to stay connected via email and social media, Goodman said in her speech. "Once you've created that great wow experience, ask: 'Would like you to join our mailing list? We do great industry updates. Follow me on Facebook, fan me, LinkedIn to me,'" she said. "You don't have to do all of them, but pick one or two and ask your customers to stay connected. It has the most consistent reach and ability to deliver the message." Small business owners actually know what to say to their customers because they talk to them in person every day. So creating an effective social media strategy is all about using that knowledge and being confident enough to put it online. "With the mobile experience taking off, you need to keep it short: a picture, a paragraph, and a call to action," Goodman said. "Once you get started, your business will inspire other ideas. A customer asks a common question, now you can put together a Q&A post. The holidays are coming up, put together great gift ideas for Father's Day. Your business has a constant flow of obvious things to say and you don't need to be a copywriter. You just need to know how to talk to your customers. Once you start, things will flow." Once you get in a social media groove, don't stop. Continue to post every day and make sure your business can be found on Google, Bing, Yelp, and all the social media platforms you're comfortable with. Just be real and genuine, because these are customers you see all the time. "Real relationships, talking to your customer, what does that do? That really begins to drive your business," Goodman said. "People start to see that and they follow a breadcrumb trail back to your business." Once you have a good network of customers, reach into their networks. If you run an outdoor sports store and have a network of hikers and mountain climbers, chances are their individual networks are composed of people just like them. "Your customers' social network is your best next prospect. The mantra is "targeted, targeted, targeted"--you want a targeted, relevant audience," Goodman said. "There is nobody more targeted and relevant than your current customers' family, friends, and colleagues. They are geographically and economically targeted." Julie Cheetham explains how brands can optimize their direct marketing campaigns. Yes really! Metrics matter. Start by thinking what you want to achieve in terms of response rate and ROI. This will mean that you conceive a campaign which is right for your aims, ensuring you're set up for success. Assess what pack cost you are able to afford against the volume of recipients to generate a positive ROI at various likely response rates. And what measurement criteria will you use: response rate, CPA (Cost Per Acquisition) or ROI? Data will be the single biggest influence on campaign performance. Remember: 'Warm is better than cold and new is better than old'. Recent purchasers will yield the best results, then enquirers, then cold prospects. If you're buying data in, ensure it's recent, not over-used and de-duped against customer data. Ensure you cleanse data pre-mailing and always comply with Data Protection legislation. After data, your 'offering' will be the next most influential factor in how your mailing performs. So that means making your overall proposition clear and benefit-led. And it means including a promotional, time-limited offer too in order to 'tip' prospects into responding. Decide what the strongest, single focus of your piece is and stick to it. Try to do everything and you risk achieving nothing. 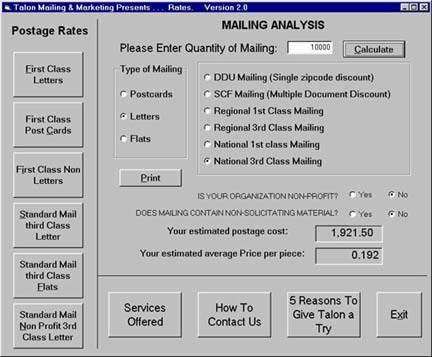 Always personalize direct mail in the address and in the salutation. It's just good basic practice. But consider how you can personalize your piece to a much greater degree too. Can you integrate the customer's name into the creative? Can you tailor the product and offer to reflect the recipient's current purchasing pattern? Can you personalize offer vouchers? One-to-one digital personalization gives you the power to produce thousands of variables, so that your communication is truly tailored and personalized. BURN does this for travel operator Park Resorts and each year deliver more bookings for less budget. Design your piece so it's optimized for response. Offer a choice of response mechanisms and repeat them throughout the communication, clearly. Consider including an extra insert, called a 'lift' piece for its ability to lift response. And/or a tangible voucher with clear monetary value. Remind recipients of the offer and time limit. Make action irresistible and easy. All good direct marketers test constantly – but very few test pre-roll out in order to optimize the pack before it ever hits a mat for the first time. Your audience will improve the pack for you, if you ask them. Turning the dial up like this will positively affect your response rate (and it builds emotional stakeholding to boot). The devil's in the detail with direct mail and that means careful management of fulfillment. Always write a print and fulfillment brief detailing which data sets are to receive which pack variant together with lasering and salutation protocols. Ensure data is securely provided and mail-ready. As part of your QC process, insist upon and approve print proofs, live laser proofs and AB samples pre release. Make sure you are seeded so you will receive the 'live' pack. You can always evolve direct mail, by testing and learning. The trick is to 'true test' i.e. to make sure all elements other than those you are testing remain constant and use a control group. Over time you can gauge the effect of data, offers, messaging, format, creative execution, timing and much more besides. Of course, leanings rely upon accurate measurement and tracking. Rigorously record results cell-by-cell and campaign by campaign. Monitor key metrics like CPA (Cost Per Acquisition) and ROI. It's worth waiting until results are mature to take a deep dive and well worth conducting a match-back of mailing file data to respondents, as this will measure the true performance of the campaign. Having optimized, tested, tracked and evaluated, this part becomes child's play. Now you're armed with all the rigor and results to craft your next precision campaign, which will of course cannily integrate further tests. Many happy returns! Wednesday June 18th, 2014. Yankees vs. Blue Jays 7:05 PM. pro.com - Price your home maintenance and repair projects in seconds and hire just the right pro for the job. dealspotr.com - Ending the outdated way consumers find promo codes online by removing clutter and pop-ups and focusing on reliable promotions. code.org - A non-profit dedicated to expanding participation in computer science. Learn the basic concepts of Computer Science with drag and drop programming. takelessons.com - Makes it easy to search thousands of teachers for local and live online lessons. Find your perfect teacher today! jokes.cc.com - Tons of funny jokes to tell & share: dirty jokes, Yo' Mama jokes, sports jokes, funny insults & pick-up lines, and much more!